Assoc. 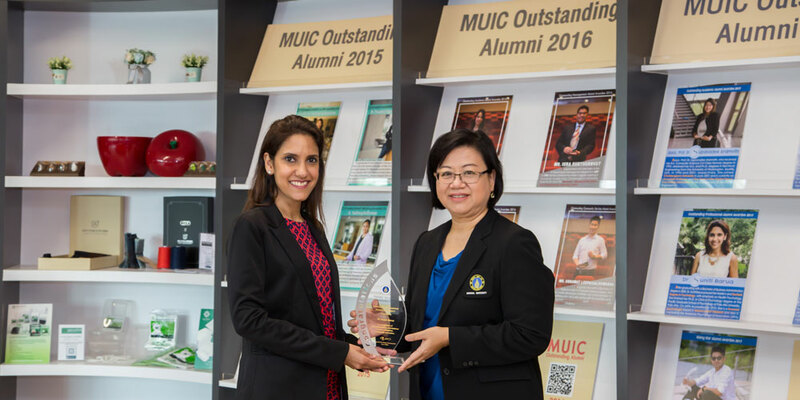 Prof. Chulathida Chomchai, M.D., Dean of MUIC, presented to Dr. Suniti Barua the plaque for being one of the MUIC Outstanding Alumni Awardees 2017 on January 15, 2019 at the Co-working Space, Aditayathorn Building. Dr. Barua, who is already based in the US, is in Thailand for a visit. A member of the Class of 2000, Dr. Barua graduated with a Bachelor of Business Administration degree in 2000. She finished her Ph.D. in Clinical Psychology degree at the Pacific Graduate School of Psychology at Palo Alto University, Palo Alto, California (APA Accredited) in 2010. Afterwards, she received the Fellowship Award and Brian Phillip Keith Research Assistantship Award from Palo Alto University. 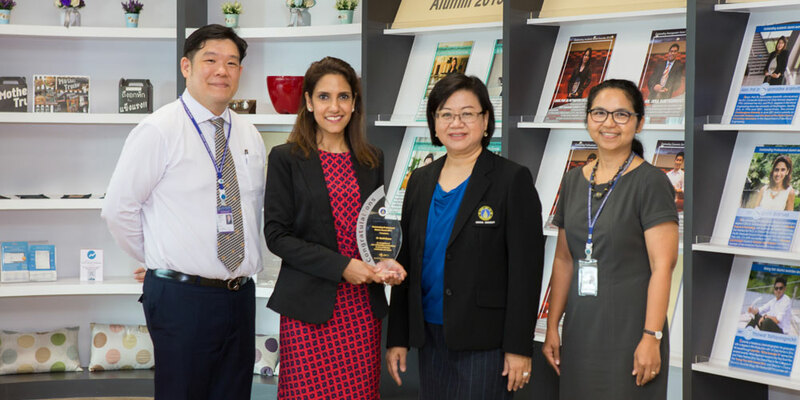 As a licensed psychologist who had been based in Thailand and now in the US and also a member of the American Psychological Association (APA), she has conducted many professional trainings and workshops.